Building a professional network is crucial to career success. In fact, studies show that 85 percent of all jobs are filled through networking. Having a strong set of professional contacts can open doors,give you access to industry expertise, and even help you land your dream job. Your network can be made up of a variety of personal and professional relationships, including present and former colleagues, supervisors, advisors, professors, alumni, friends, and industry professionals. If you’re just starting out, however, creating such a robust network might seem difficult. Developing meaningful relationships will require a concerted effort, but it doesn’t have to be a stressful endeavor. If you’re looking to broaden your network and advance your career, here are six networking tips to help you get started. Whether it’s a networking-specific meetup or an expert speaking on a hot topic, make an effort to attend relevant industry events. You’ll be in a room of like-minded individuals with whom you can discuss topics relevant to your discipline. These types of face-to-face interactions will widen your network and create deeper, more meaningful impressions than an introductory email alone. Stay abreast of these types of events by joining professional groups or signing up for their newsletters. While you’re in attendance, make sure to network effectively. Actively listen, engage in conversation, and ask questions. When it’s your turn to introduce yourself, have your “elevator pitch” ready, including the name of your company, your company’s function, and the role you play in the business. Make sure to follow up within 24 hours of the event to ensure your new connections remember you. An email with a simple “hello” and a short reminder of what the two of you talked about will suffice. If you discussed a particular action item, such as making an introduction or sending along helpful information, follow through on that promise within the same time frame. Include a professional photo, personal summary, and an overview of your skills to give potential connections a better sense of your personality, abilities, goals, and how you might add value to their network. When sending connection requests, personalize your message and provide context—don’t simply rely on LinkedIn’s default message. If you have a commonality, such as a mutual connection or a shared alma mater, make sure to mention it in your note. Identifying shared interests can go a long way in establishing more meaningful connections. Keep in touch with your connections by sharing relevant content you think they’ll find useful, such as an informative blog post, inspiring TED talk, provocative industry whitepaper, or a local networking event. In your note, tell them why it made you think of them and how it might provide value. Similarly, if you see one of your connections mentioned in the news, post a comment or send them a message acknowledging his or her achievement and value he or she brings to their role. You can also comment on or tag appropriate individuals in articles your industry connections are sharing on social media, letting them know you’re thinking of them while positioning yourself as a thought leader. Engaging with helpful content over time will help your connections see you as a key member of the industry and someone worth knowing. Although you’d like to keep in constant contact with your entire network, in reality, it’s easy to fall out of touch. Don’t feel shy about reconnecting with old contacts, even if it’s been a while since you last spoke. When reaching out, let them know why you’d like to reconnect, acknowledging the lapse in communication. You can engage them in a number of ways, by sharing relevant content, offering a congratulatory message on a recent achievement, or simply by asking for their feedback or professional advice. Keep the conversation going by scheduling time to grab a coffee, and make sure to follow through on your commitment. Only once you’ve reestablished your professional relationship should you ask for a significant favor, such as a referral. Remember, networking isn’t just about what other people can do for you, but what you can do for them. Show your network that you’re a valuable contact to have by asking, “How can I help you?” Before requesting anything from them, show your willingness to establish a mutually beneficial relationship. For instance, if someone asks for an informational interview or a conversation over coffee, say “yes” if your schedule allows. The guidance you can offer may help them in the next phase of their career, which they won’t soon forget. 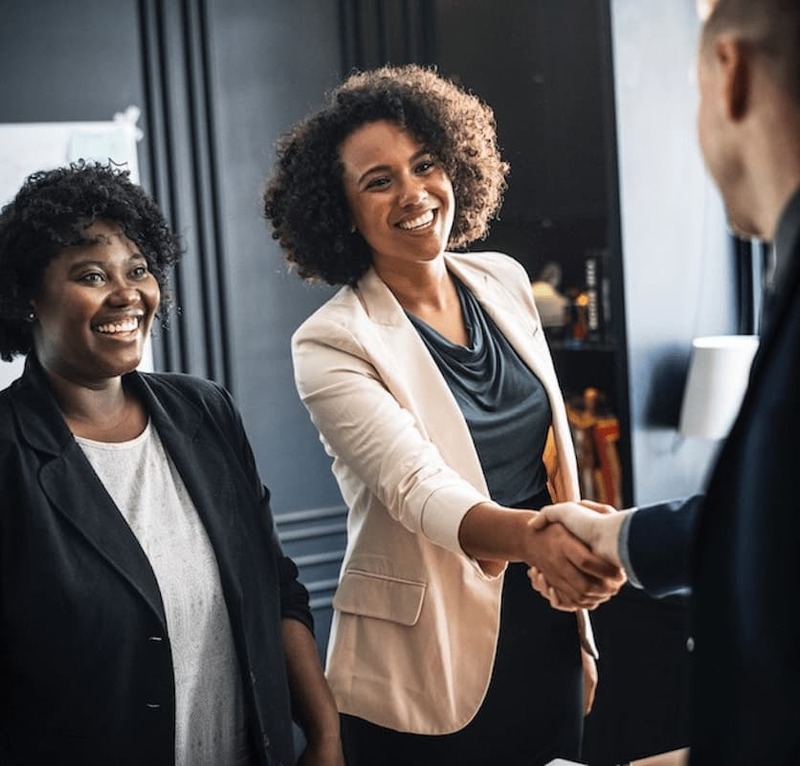 Build strong relationships by continuously providing value to your network—offering advice when solicited, responding to inquiries in a timely manner, and making industry connections for others. If you think two of your contacts could benefit from each other’s expertise, introduce them. This simple gesture can go a long way, and you’ll be the first to come to mind when they can return the favor. Connecting with your network doesn’t have to be time-consuming. Just remember to keep your messages authentic and focused on maintaining a mutually beneficial relationship. Following these tips can help you to build and maintain a strong professional network that can serve you well throughout your career. Interested in more career tips? Check out our other blog posts, such as 7 Easy Ways to Revamp your Resumé and Tips for Acing Your Next Interview, to help you accelerate your career.